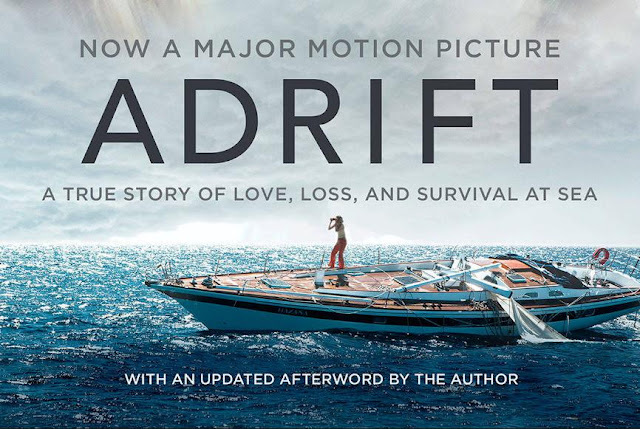 VIVA International Pictures proudly presents “Adrift”, an incredible true story about the resilience of the human spirit and the transcendent power of love. Based on the book by Tami Oldham Ashcraft. Two young lovers, Tami Oldham and Richard Sharp, sail across the ocean together. Filled with romance and excitement, they never anticipated to be sailing directly into a hurricane that whips up 40-foot waves and 140-knot winds, making it one of the most catastrophic hurricanes in recorded history. In the aftermath of the storm, Tami awakens to a dilapidated boat, with Richard nowhere in sight. Panic- stricken, she tries to radio for help and put the boat back in order. By some miracle, she finds Richard in the waters, badly injured. With no hope for rescue, Tami must find the strength and determination to save herself and the man she can’t see herself living without. Taking the role of Tami is Shailene Woodley (The Fault in our Stars / Divergent), while Richard is played by Sam Claflin (Me Before You / The Hunger Games).Aaron Kandell (Walt Disney’s Moana), one of the movie’s screenwriters, reveals that he and his twin brother Jordan wrote the story with Woodley in mind. When they visited Tami Oldham in her home in the San Juan Islands, they instantly saw her strength and her free spirit, and she reminded them so much of Woodley whom they’ve known since her role in “The Descendants”. “So as soon as we finished (the script), she was the first person we sent it to,” Jordan adds. Woodley says, “I was so captivated by it, by who Tami is and the love story. I really felt the energy of the divine soulmate connection between Tami and her fiancée, Richard. A swimmer, but not at all a pro in sailing, the actress spent about a month before production in Hawaii learning how to sail on all different types of boats. (Everest, The Oath) convinced him that he was “totally right for the role”. Woodley and Claflin rehearsed together for two weeks in Fiji prior to principal photography. About midway into production, Tami herself visited set, making the cast feel that she truly embraced this film. “It was amazing to meet her finally but also, I was hyper-aware of how emotional this experience must be for her, the trauma of being stuck out at sea. My prayer is that she has found healing as well through this experience,” Woodley says. “Adrift” filmed for 49 days, primarily on location in Fiji, with a few weeks on stage in New Zealand. It opens in cinemas on June 27, 2018.